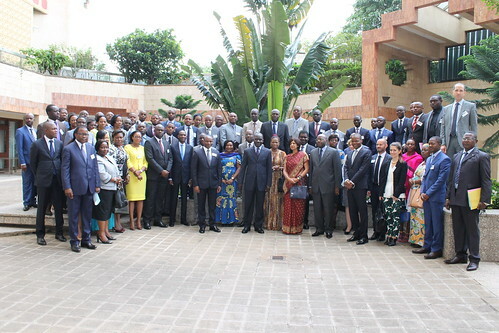 52 tax auditors, tax investigators and Exchange of Information (EOI) officials from 4 francophone African countries (Benin, Cameroon, Congo and Mauritania) met in Yaounde from 22-24 July for a three day training seminar organised by the Global Forum Secretariat in cooperation with the Cameroonian Ministry of Finance. The purpose of the seminar was to sensitise auditors and investigators on how they can use the EOI tools available and the worldwide network of EOI agreements to better tackle cross-border tax evasion and improve their tax audits. The seminar introduced tax auditors to the concepts and practices of EOI with an emphasis on case studies and sharing practical experience. The seminar was also designed to enable participants to replicate such training across their own countries. The tax auditors were encouraged to make effective use of EOI tools to increase the number and quality of outgoing requests for information. The seminar also demonstrated how the effective use of EOI networks is closely linked to protecting domestic tax revenue.